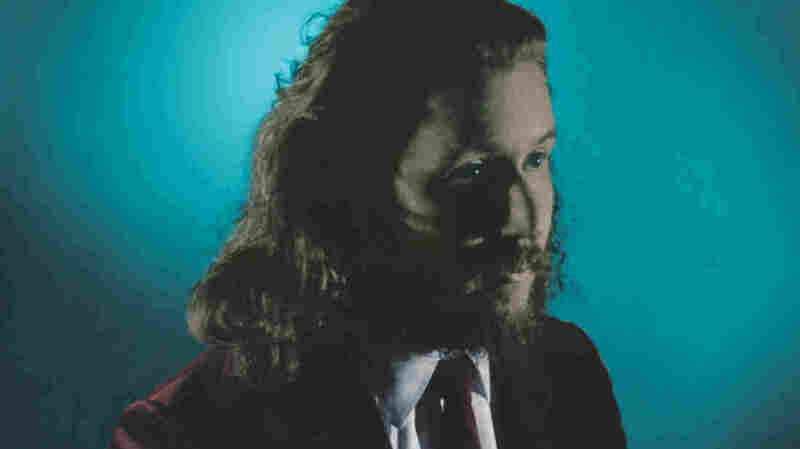 First Listen: Jim James, 'Regions Of Light And Sound Of God' On his first full-length solo album, My Morning Jacket's singer makes the sound of a lost soul in search of something bigger than himself. James has always liked to let his voice echo into the void, but here, his attention seems to face inward instead of heavenward. Jim James' Regions of Light and Sound of God comes out Feb. 5. With My Morning Jacket, Jim James presides over a band whose only consistent characteristic is bigness, whether its members are raging through arena-sized rock 'n' roll, soaring like a choir or indulging a mile-wide playful side, with room for stomping funk, angelic ballads and everything in between. So it makes sense that, for his first solo album — not counting the gorgeous EP of George Harrison covers he recorded under the not-so-mysterious pseudonym Yim Yames — James would shrink his canvas down to where it captures the sound of a lost soul in search of something bigger than himself. On Regions of Light and Sound of God, out Feb. 5, James conveys a kind of ringing plaintiveness: He's always liked to let his voice sound as if it's echoing into the void, but here, his attention seems to face inward instead of heavenward. Inspired by an 80-year-old book of woodcut art called A God's Man — which tells the dark story of an artist's redemption and lingering demons — James takes a similarly lonely journey on Regions of Light, on which he plays every instrument himself. Regions of Light and Sound of God doesn't want for thematic ambition: It finds James unselfconsciously name-dropping both God and Dr. Martin Luther King Jr. Still, the album is at its best when James seems content to articulate the tender musings of a lonely mind. For all his grandiose ambitions, smallness suits him, too.